drawing and painting-are two directions in the visual arts. Each has its own characteristics: methods, techniques, and materials used and tools. The types of drawing and painting, the quality and accuracy of the image and its aesthetic properties depend on what kind of art materials used by the artist. drawing and painting: what's the difference? drawing, unlike painting, has a wider application. The figure below shows graphs of functions of the form y. Such presentation of learning material helps students and pupils to better understand complex mathematical equations and their practical application. One of the most used tools in the visual arts – a simple pencil. They are not expensive. Any special skills are not required. In hardness they are divided into 3 types: mild (M, M2 or B, B2), medium hardness (HM or BH) and firm (T, T2, or H, H2). With a pencil you can create all types of drawing: from sketching to photographic image. How to use this tool correctly? Gennady Lee in his book “the Basics of academic drawing” advises budding artists to use the soft (M2) pencil. It teaches more responsible attitude to work and to act more carefully. They learn to apply lines and strokes with a slight movement, barely touching the surface of the paper. Soft graphite the trail easier to erase eraser or clacky (soft rubber). Even slight pressure makes the lines darker and thicker. Professionals can achieve the desired ratio of colors using the solid (T2) pencil. of Particular importance when working with pencils is paid to the technique of execution – hatching. The contours plotted are not long lines, short strokes. Also darken the shading areas on a sheet of paper. It should convey not only the tone, but the texture of the subject. Thus the lines are placed in parallel and close to each other. figure shows the graphs of functions of complex mathematical formulas without the use of special tools, without lifting a hand from the sheet, to depict the impossible. This can be done by only causing the image short strokes. 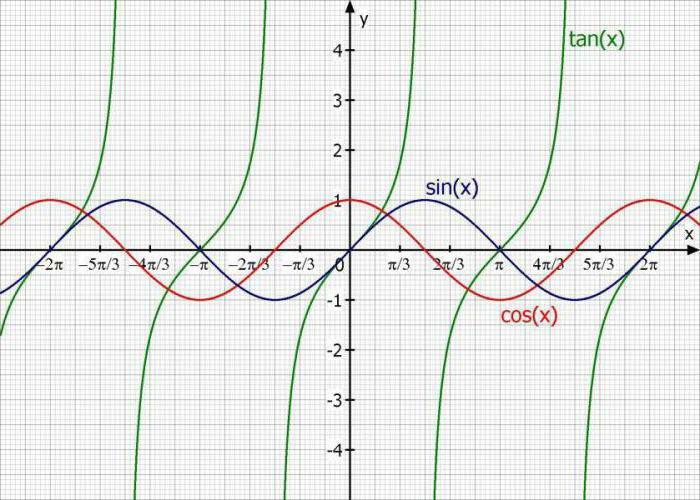 And it is from these simple lines, ellipses or sinusoids, and consist of all visible objects. When working with colored pencils use the same tools and technique as with simple graphite. The main difference-the picture color is obtained. These bright sticks with solid rods that leaves rich color on the sheet that appeared recently. Therefore, in older textbooks on drawing, it is not written. Lines done with a marker pen, have a smooth trace of fat not only on the surface but on the reverse side of the paper. Therefore, for painting large areas it is not necessary. It is used for separation, loose color hatch. 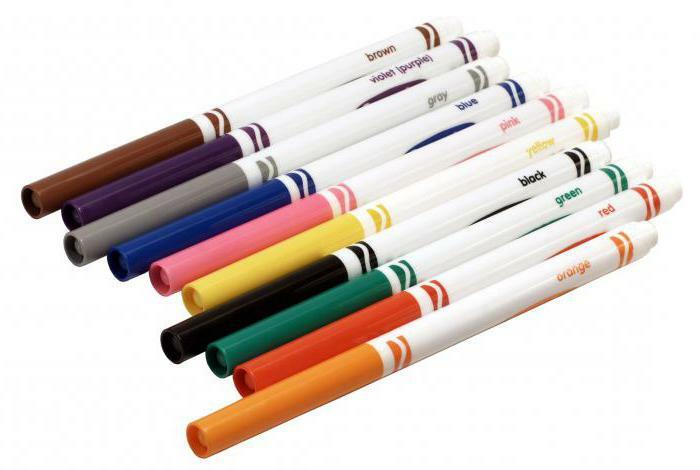 Markers use when you need to create a pattern in the form of signs, labels. It is suitable for drawing graphs, especially if they must spend a few of the lines displaying different functions or the results of calculations. Fountain pen and ballpoint pen, which is used as a coloring pigment ink and ink is used not only in calligraphy, but also for drawing. Its capabilities are not inferior pencils, but have some peculiarities. Ink and ink fall on the paper or cardboard smooth solid lines, regardless of the pressing force. That is, the tone does not change. Therefore, they are rarely used to create three-dimensional photographic image. 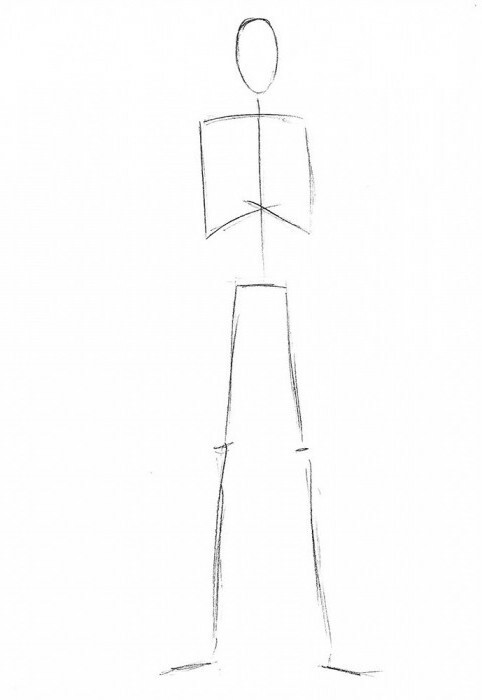 But they are suitable for these types of drawing as a sketch and a sketch. To work with the tool, you can use any paper, even writing. Accept ink easily, without scratching the paper, which often happens when working with a sharp-pointed hard pencil. Sanguine – this type of clay. It is made of sticks and burn it. It has a red or brownish color. Coal gives black color. It is obtained by roasting in a closed oven sprigs of birch or aspen. From a simple charcoal extruded charcoal is made. Despite the fact that it's two different materials, techniques, and types of pattern obtained with their help are the same. Artists often use both on a single sheet of cardboard with chalk. So the image does not crumble, it is treated with special adhesives and clamps. To work with these materials carefully, as it erases fail. Even Klyachko will not help, and the eraser will just smear all muddy spot. What has the appearance of a drawing made with charcoal or sanguine, see below. 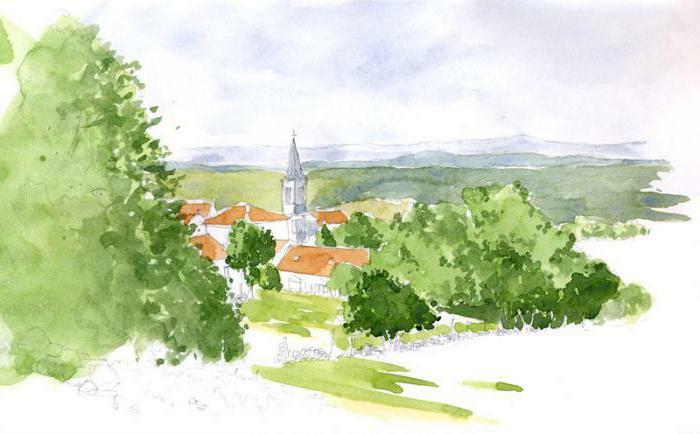 In painting the main tool – the brush and the materials used-watercolor, gouache, acrylic or oil paint. Their release sets 3, 6, 9, 12 and more colors. 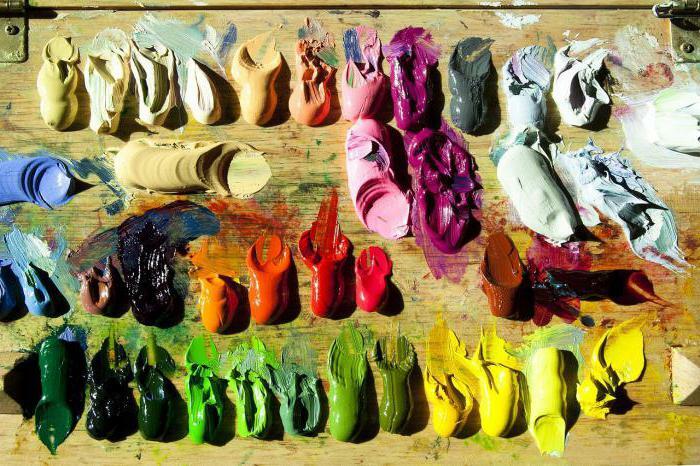 In order to obtain a paint of the desired shade, mix them on the palette. Palette – plastic or wooden Board with grooves and a hole for the thumb. If the object is not, we can instead use a porcelain plate. 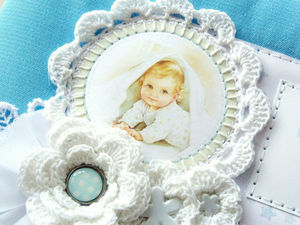 Image is printed on the cardboard, drawing paper or canvas. When using oil paints primed them with a special compound based on gypsum. This water-based paint. The peculiarity of this art material is that it is almost transparent. Put it on a cardboard or paper with brushes made of squirrel fur. There are two techniques of working with watercolor: dry or damp sheet of paper. Work on dry cardboard or paper maybe even a small child who first picked up a brush. Pencil applied to the image. 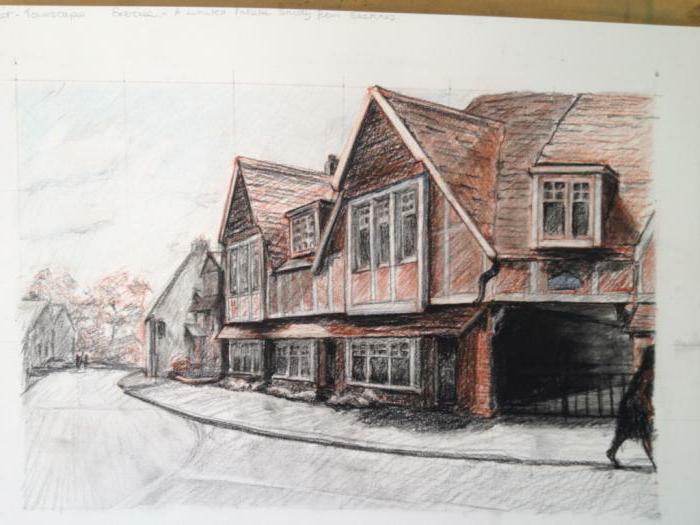 Usually at this stage use these types of drawing as a sketch and sketch. First color light, then dark. This is to ensure that the colors are not mixed. Mistakes corrected, swiping at the paper, dampened sponge or brush. to Draw on the wet paper much more difficult. To perform work in this technique can only be an artist with a lot of experience with watercolor paints. the illustration shows the type of items with stains of paint, almost transparent play of light. To do this, the paint is applied in circles, gradually dimming the sites. The white objects are not rendered. To work with gouache paints using brushes with synthetic bristles. She lays down a smooth opaque layer. It is applied on paper or cardboard. Techniques gouache is the same as when operating with watercolor on dry paper, but with some peculiarities. As it is opaque, the layer of paint possible to apply another, but a different color. The excess gouache on painting and also allowed when working error, remove using a scraper (angle ruler) or wet brush. Applied a thick layer, it dries crack. If the excess is not removed, then after they can fall off. in a jar of Dried gouache is diluted with water to a creamy consistency. As the paint quickly fade in the sun, wiping, these paintings must hang in places subject to direct sunlight under glass. most of the paintings in Hermitage and Tretyakov gallery. The advantage of oil paint is that it almost does not fade in the sun, but long dries. Can be apply as a point, this is when brushstrokes of different colors placed next, and layers. Errors and (or) the excess paint off with a palette knife. Spatula – this is a special spatula. Sometimes it is used for paint application. It turns out an artistic effect when she goes to the blocks. is Used not only thick, but liquid oil paint. To thin it, add vegetable oil (sunflower, corn, Flaxseed, etc.). Cause its layers. This technique is called the method of glazing. 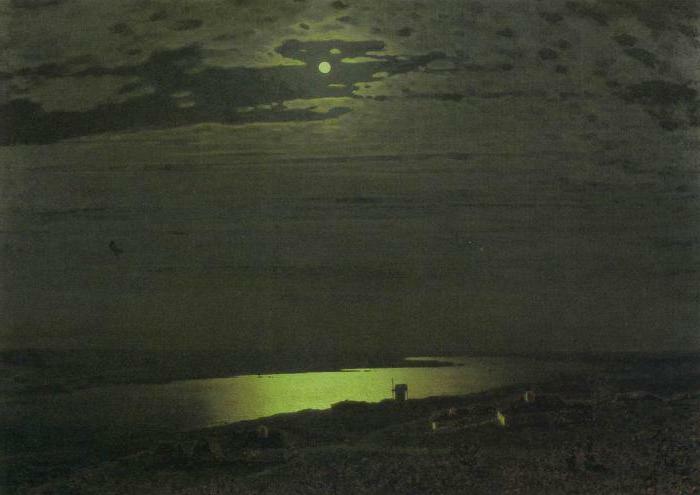 A Prime example of how looks a picture made in this way – “moonlight night on the Dnieper» A. I. Kuindzhi. Moon like glowing. oil Painting dries for about a year. If you have used the method of glazing, each layer dries for about six months. The drying process can be accelerated by adding a paint solvent such as turpentine or white spirit. Then the paint dries for 2-3 days, and the painting surface will be matte. Below the surface is not cracked during drying, it is covered with wet rags. Acrylic paint – a contemporary artistic material. With their help, the artists create paintings similar to his graphics settings to the photo with the same clarity and brilliance. They get dry quickly. When working with acrylic paints used the same techniques as in the action with oil. Artists, along with traditional materials, use modern, combine them. What types of pictures work not always able to identify and explain. 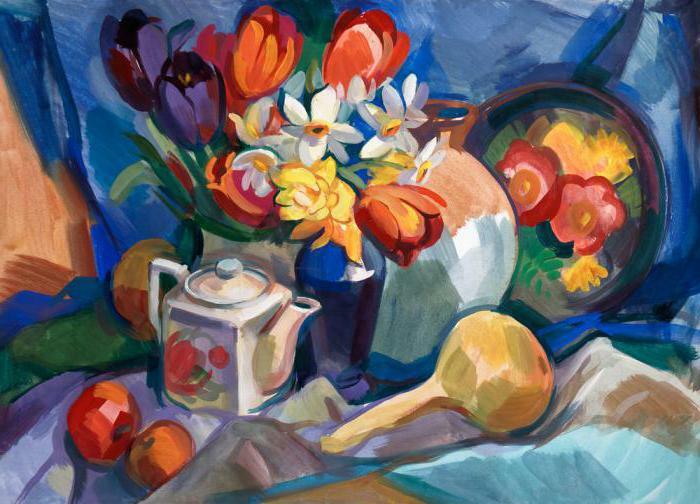 For example, watercolor still life, where the outlines of objects are highlighted with a Sharpie. Some art material, the picture was written? What kind of drawings can be attributed? 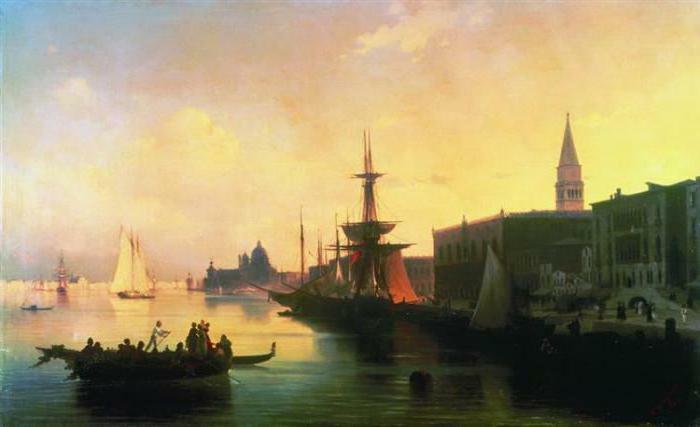 But not as important as what to paint, as long as the painting brought pleasure not only to the artist but also the audience.